Welcome to Outlook Home Inspections, LLC! Giving you a fresh perspective and guidance you can trust. Every person is looking for assurance when buying a new home. The process is often emotional and can become overwhelming once you’ve chosen the perfect home for your family. If you’re in the greater Charlotte, Spartanburg, Greenville area or anywhere in Western North Carolina and the Upstate, let Outlook Home Inspections help by providing a high-quality home inspection that reveals the true condition of your home. As a solution-oriented inspection service, Outlook will offer an array of inspection services that provide you with the knowledge and foresight you need to invest in your home with confidence. 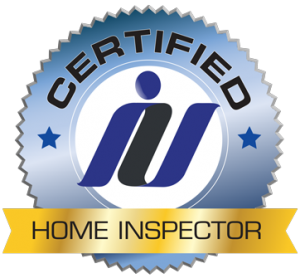 Whether you are a first-time home buyer, looking to sell your home, or a homeowner wishing to protect your property, a home inspection is an essential component to help you reach your goals. Outlook Home Inspections is locally owned and operated by Jonathan Dyer, ensuring you’ll get personalized service from a friendly member of your community. Outlook Home Inspections will be with you from start to finish as you navigate through the homebuying process. Jonathan is available after your inspection to answer your questions and address any concerns you may have about your property. You can expect to receive prompt, personal, and attentive service. As a small business, Outlook Home Inspections takes great pride in doing excellent work and in building strong relationships with those in our community. Outlook offers competitive rates and a full spectrum of home inspection and testing services under one roof. Jonathan is here to guide you and simplify the homebuying process so you are confident in your decision. 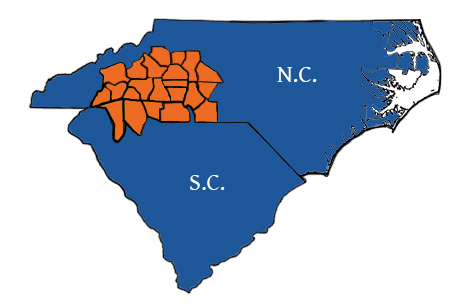 Serving the greater Charlotte area and Western North Carolina including: Shelby, Boiling Springs, Forest City, Mooresboro, Cliffside, Spindale, Rutherfordton, Green Creek, Mill Spring, Lake Lure, Saluda, Tryon, Columbus, Hendersonville, Brevard, Old Fort, Asheville, Kings Mountain, Crouse, Cherryville, Denver, Lincolnton, Hickory, Newton, Maiden, Lenoir, Hudson, Valdese, Mountainview, Morganton, Marion, Gastonia, Stanley, Belmont, Mount Holly, Lowell, Charlotte, Myers Park, Weddington, Indian Trail, Sherrills Ford, Huntersville, Mooresville, Cornelius, Monroe, Mint Hill, Ballantyne, Waxhaw, Matthews, Pineville, Harrisburg, Arden, Mills River, Fairview, Avery’s Creek, Gerton, Bat Cave, Chimney Rock, Etowah, Swannanoa, Black Mountain, Tuxedo, Fletcher, Mountain Home, Flat Rock, Zirconia, Greenville, Easley, Norris, Fountain Inn, Spartanburg, Pacolet Mills, Sharon, Jonesville, Lockhart, Lowrys, Boiling Springs, Pickens, Greer, Blacksburg, Gaffney, Chesnee, Fort Mill, Clover, McConnells, Rock Hill, Campobello, Landrum, Union, Chester, Inman, Cowpens, Converse, Glendale, Pacolet, Cleveland, Duncan, Wellford, Lyman, Tigerville, Mauldin, Simpsonville, Woodruff, Gowansville, Travelers Rest, Berea, and Roebuck. Ask Outlook about our 10% discounts for veterans & USDA loan qualifiers.